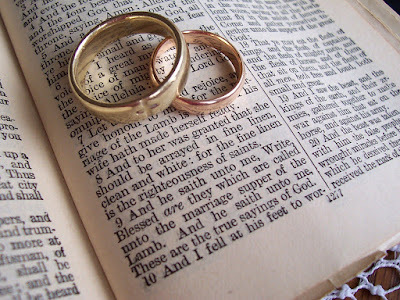 The exchanging of vows is one of the most meaningful parts of the wedding ceremony. 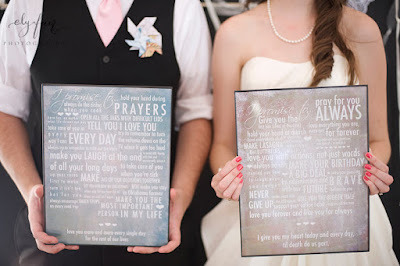 To make their vows especially unique and personal, many couples forgo traditional wedding vows in favor of writing their own personal wedding vows. 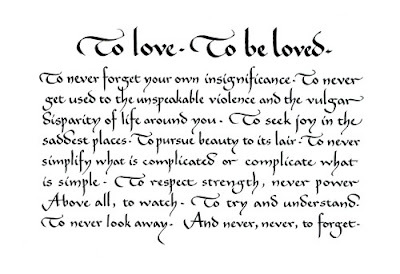 Though it's a noble undertaking, writing personal wedding vows can be difficult if you don't have proper inspiration for your vows. 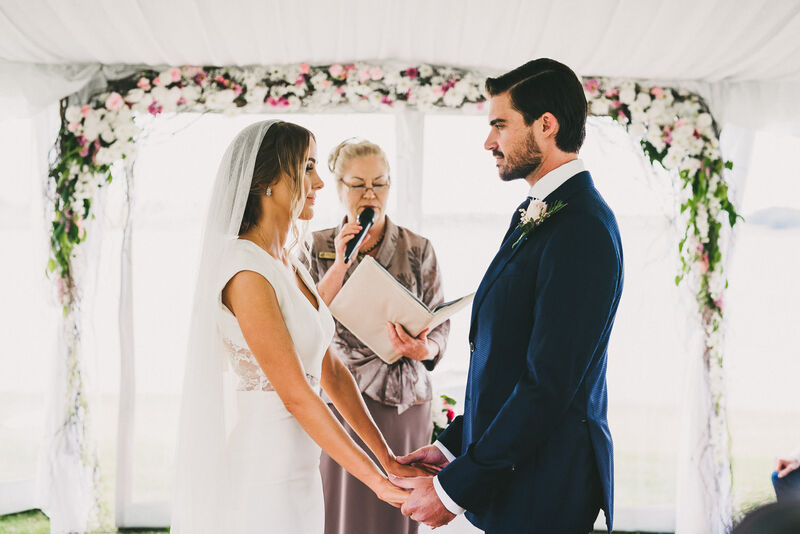 If you and your fiancé have decided to write personal wedding vows for your wedding ceremony, you may be unsure of where to start. Sitting in front of a blank sheet of paper with a pen in your hand may not bring the flood of inspiration you need to compose wedding vows that clearly express your feelings. 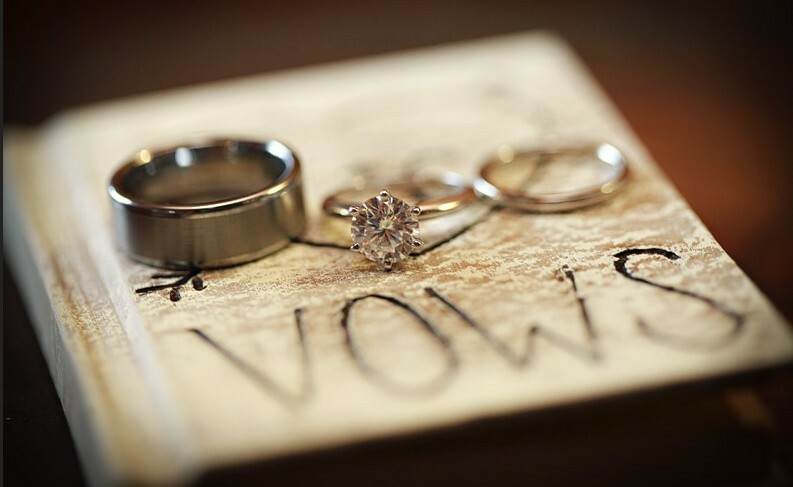 Before you give up and use a canned wedding vow that's been over-used at millions of other wedding ceremonies, check out a few sources of inspiration for your wedding vows. 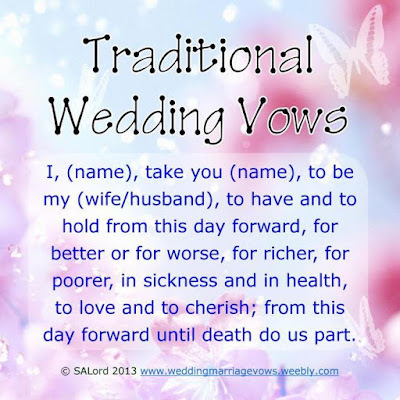 With a little thought and some fresh ideas to get your started, you can be quickly on your way to writing personal wedding vows for your wedding ceremony. 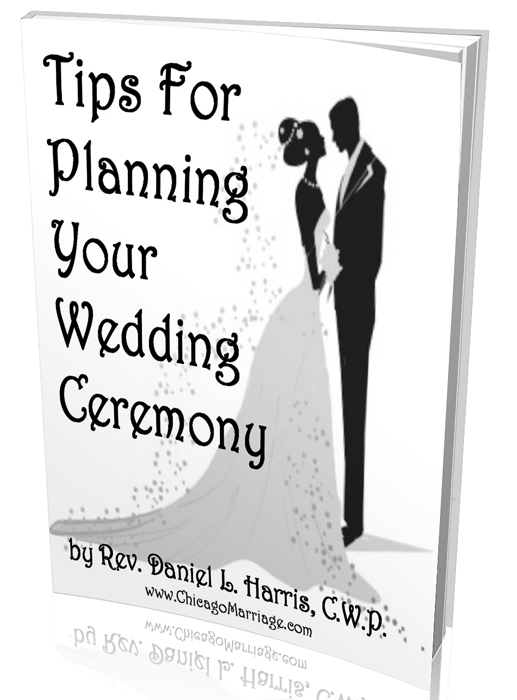 Since you're getting married, it can be assumed that you and your fiancé have some special memories together. The moment you met, your first date, a vacation together, these memories can be great inspiration for your vows. Think about those wonderful memories and the memories that you and your fiancé will create together in your future married life. In addition, although they are not the happiest memories, the hardships that you may have endured as a couple can be great inspiration for wedding vows. Perhaps you or your fiancé experienced the loss of a loved one, went through a family crisis or lost a job while you've been together. During tough times, we reach out to loved ones for the support we need to make it through the darkness. Difficult life experiences often bring out our true colors and allow us to appreciate the comfort and solidarity that comes from being in a loving relationship. If you've had such an experience with your fiancé, you may want to think back on how you stuck together through not just the easy times, but the difficult times too. You and your fiancé may have a special song that embodies the feelings of your relationship. If you do, it's not a bad idea to borrow a few choice words from the lyrics to make your vows special. Particularly if it's an obscure song that you share, your fiancé will recognize the words in your vows and it will be a special connection for you both during the wedding ceremony. Even if you and your fiancé don't have "a song", it doesn't mean that you can't look to music for inspiration. Pull out some of your favorite records and listen. You may hear something that really speaks to you and puts your feelings into words. 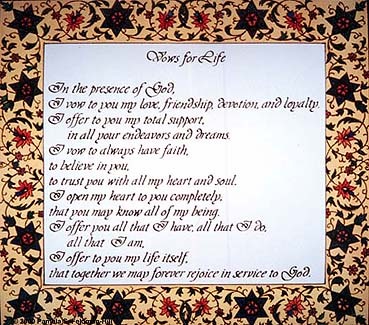 Another place to find inspiration for your personal wedding vows is from a wedding vow book. 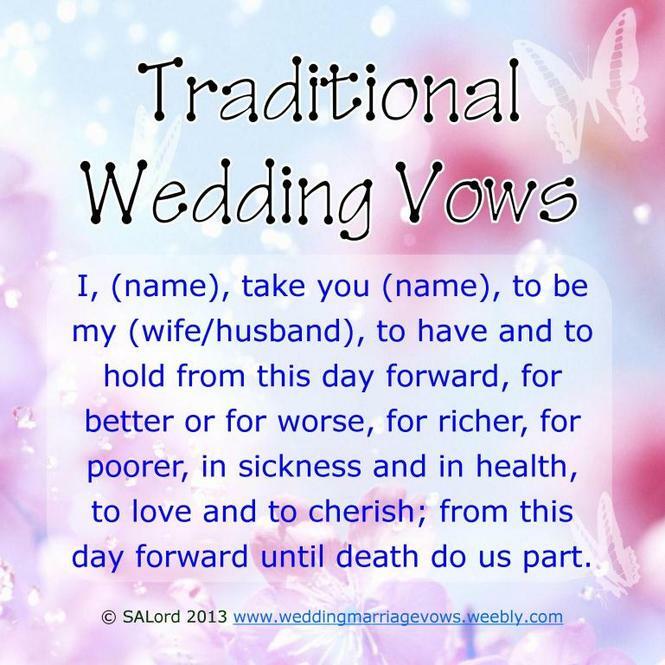 Created to help you with wedding vow samples and vow writing guidelines, wedding vow books can often give you inspiration for your own vows and a clear structure for writing your wedding vows. 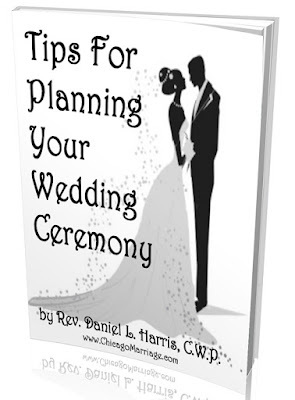 You can find wedding vow books online, at book stores or you can visit your local library to see if there are some books on wedding vows there. If you have a tough time finding your own words for your wedding vows, you can borrow some lines from poems or literature to express your feelings. Maybe someone has already said something that captures exactly how you feel about your partner. 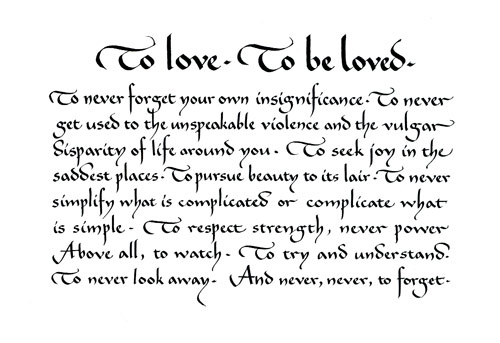 Some particularly romantic writers that provide inspiration for personal wedding vows include Elizabeth Barrett Browning, Lord Byron, Robert Browning, Ann Bradstreet, and of course William Shakespeare. Now that you have some places to look for inspiration, you can get started on creating your personal wedding vows. 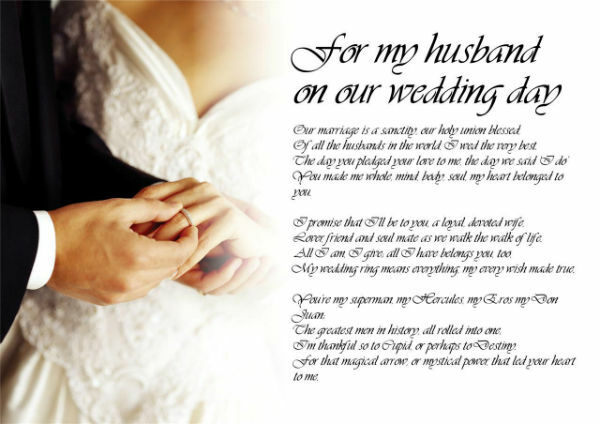 When you recite your vows on your wedding day, you'll feel special knowing that you created wedding vows that are not only beautiful, but are personalized to your relationshi.